3D Active Ambient IEM System, Studio headphone from Sensaphonics. Sensaphonics announces that the U.S. Patent and Trademark Office has granted a patent for its 3D Active Ambient IEM System. Sensaphonics has launched the 3D Active Ambient Intra-Ear Monitoring system, that allows you to hear your monitor mix while mixing in a selectable level of on-stage ambient sound, while keeping your ears acoustically sealed. 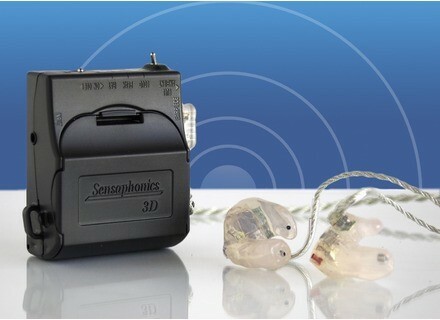 Sensaphonics has announced a limited-time offer on its 3D Active Ambient IEM System.